Celsius energy drink is a brand of energy drink made by Celsius Holdings in the United States. Celsius drinks are available in 12 fl.oz cans or powder sachets, with the cans containing 200-300mg of caffeine each and the powder sachets containing 200mg of caffeine per serve. Celsius drinks come in both ready-to-drink cans and also in powder form, sold in sachets. All of these categories come in 12 fl.oz cans and several different flavors. Celsius "On-The-Go" (powders) come in 4 different flavors and each sachet contains 5.9g of powder and 200mg of caffeine. These powders are similar to the likes of Spark drinks, Zipfizz and REIZE. Celsius "Originals" energy drink nutrition information. For a comprehensive breakdown of all of the Celsius drink ingredients, check out my other post where I compare Celsius "Originals", "Naturals", "On-The-Go" and "Heat" all in one place. All of the Celsius "Originals" and "Naturals" cans and "on-the-go" powder sachets contain 200mg of caffeine per serve, which is a lot. Celsius "Heat" contains a hefty 300mg of caffeine per can. That puts it fairly high on the list of energy drinks with the highest caffeine content. That's about as much as having 3 cups of Joe, so be forewarned. If you're sensitive to caffeine you might find that it blows your head off. This is probably a pretty good time to mention that you should always consume energy drinks in moderation to avoid any potential issues from overdoing it. Celsius Wild berry from the "Originals" range. Celsius drinks are certainly positioning themselves as healthy. Furthermore, they also definitely positioning the "Naturals" range as... natural. However, Celsius energy drink (including the "Naturals" range) do contain a bunch of artificial ingredients. The fact that Celsius is sugar-free is great, but there are many other great energy drinks out there that are also sugar-free. Indeed, the ingredients of Celsius energy drink are typical of most energy drinks. While Celsius drinks are likely no "worse" for you than any other energy drink, it's also not clear that it is actually any healthier than any other sugar-free energy drink. 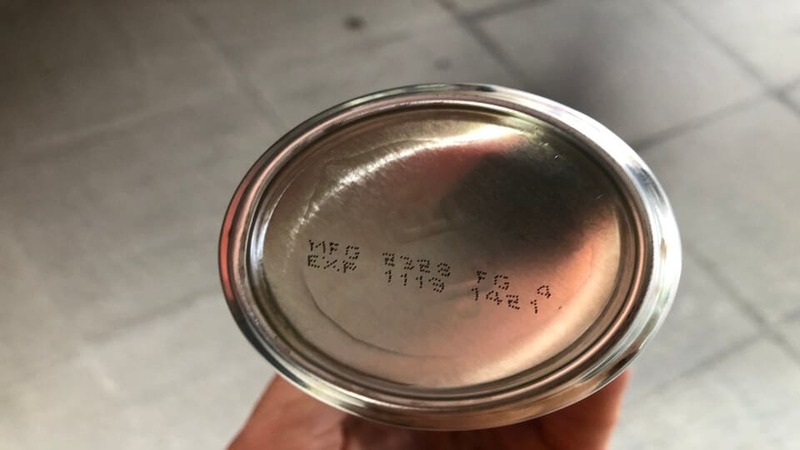 The bottom of the Celsius can shows the expiry date of the drink. Like many energy drinks, Celsius drinks have their own special "proprietary blend" of ingredients. Many brands trademark a proprietary blend so that they are the only ones that can say that they contain that particular blend. In truth, all of the ingredients within the blend already exist and are available to anyone to use. The energy drink brands (in this case Celsius) haven't invented anything new other than a fancy sounding name that they can use for marketing. Celsius really got some Mileage out of the university studies that "proved" all of their health claims. Just look at all of those claims... and asterisks! The thing that bothers me the most about the Celsius "MetaPlus" formula and the claims that they print all over the can is the fact that it doesn't even mention caffeine. This is despite the university studies making several mentions about how the increase in metabolic rate and resting energy expenditure observed after drinking Celsius wasn't surprising given that Celsius contains 200mg of caffeine. 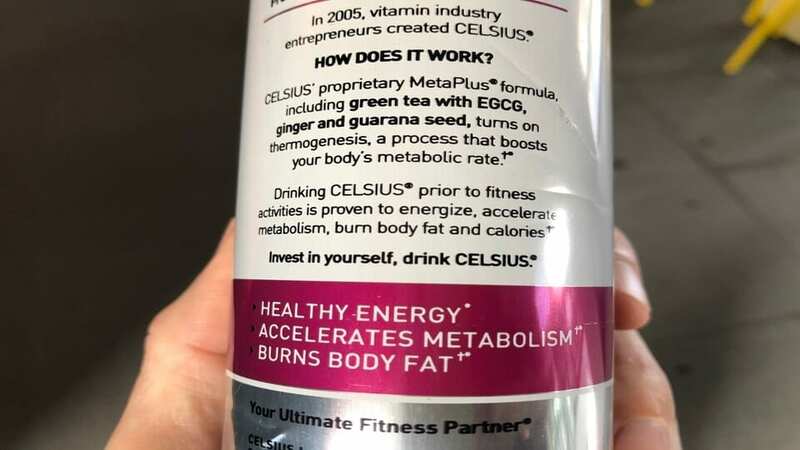 But the Celsius can makes absolutely no mention of caffeine in their MetaPlus formula, as if to imply that the increased metabolic rate is the result of the other ingredients, and not the caffeine. I would welcome Celsius paying for another round of university studies to test the effectiveness of their "MetaPlus" blend without the caffeine to see what effect that would have versus a placebo. However, my guess is that Celsius would be a little hesitant to commission those studies because they already know what the results will show. Zipfizz energy drink are another brand with their own special blend of ingredients. The name of their special blend is also trademarked, of course. The Celsius drink cans are plastered with pictures and phrases associated with health, wellness and fitness. Celsius are definitely going after the health conscious demographic with their highly caffeinated beverages. They seem to be targeting everyone in the category from overweight women who want to get back into shape to muscle-bound gym freaks looking for that extra burst of energy to pump out another rep in the gym. Celsius Holdings is listed on the Nasdaq (CELH), with reported revenue for 2017 of $36 million, more than double from the same period two years prior. Business is booming and it looks like their marketing of the drink as healthy is doing the trick. Celsius drinks produce healthy... profits for shareholders. Celsius drinks commissioned 6 studies to "prove" the effectiveness of their products. In actual fact, I think all they proved is that caffeine is a great ingredient to include in an energy drink. The first study compared the effect of drinking Diet Coke vs Celsius in a group of healthy people to measure the increase on metabolic rate after drinking the two drinks. Celsius contains a lot more caffeine than Diet Coke. The study itself mentions that previous studies had already shown that caffeine increases metabolic rate in accordance with the dose. In other words, the more caffeine you consume, the more your metabolic rate increases. Celsius (and virtually every other energy drink) contain caffeine. If caffeine increases metabolic rate, then Celsius increases metabolic rate. ...along with most other energy drinks. The study continues "these findings are not surprising considering that Celsius contains 4.4 times more caffeine than Diet Coke". The study concludes "the effects of repeated, chronic ingestion of Celsius on body composition are unknown". Did this study prove anything that we didn't already know? We already knew that caffeine increases metabolic rate and the more caffeine that you have, the more your metabolic rate increases. The studies that Celsius paid for found that drinking Celsius alone does not burn fat. However, caffeine combined with exercise can have positive effects. The second study looked at the effect of drinking Celsius on resting energy expenditure (REE), specifically to argue that drinking Celsius helps you to lose weight without doing anything else. The study found that consuming Celsius did increase the resting energy expenditure and the amount of calories burned in the 3 hours following consumption. Just like almost all energy drinks. The study continues, "further, single 100mg doses of caffeine have been shown to increase metabolic rate 3-4%". And, "Celsius Holdings provided funding for this project". A third study compared Celsius to a placebo over a 28 day period to measure the uplift in resting energy expenditure (REE), just like the 2nd study. I won't bore you with the details, but surprise, surprise, the study found that drinking Celsius does increase your resting energy expenditure. These guys have been drinking the kool-aid. They mention the university studies as "evidence" of Celsius drink's fat-burning wonders. They also incorrectly mention that there isn't anything artificial in the ingredients, but seem a little unsure about whether it actually tastes good. A fourth study looked at drinking Celsius before a gym workout on workout performance and compared Celsius with a non-caffeinated placebo. You guessed it, the caffeine drinkers performed better. The fifth study looked at weight loss effects in overweight women over a 10 week period. Yep, the caffeine drinkers lost more weight than those that didn't drink caffeine. The final study looked at endurance amongst inactive men, comparing Celsius to a placebo. Once again, the caffeine drinkers did better. The interesting thing in this last study was that if someone drank Celsius but didn't do any exercise there was no effect on their body composition after 10 weeks. This means that drinking Celsius and sitting on the couch won't help you to lose weight. Celsius even print "Celsius along does not produce weight loss" on their cans. Notice also that the FDA has not evaluated any of Celsius health claims. All of the "proof" about how great Celsius is comes from the university studies that Celsius themselves funded. To lose weight you need to actually do exercise. It also appears that combining exercise with caffeine consumption can be beneficial for weight loss. All of these studies were commissioned and paid for by Celsius and all of these studies are now over 10 years old. But that hasn't stopped Celsius from banging that drum ever since the studies were completed and getting maximum mileage from their health claims. In the end, I think that all they proved is that caffeine is fantastic. However, Celsius is definitely not the only energy drink that contains caffeine. Does Celsius energy drink burn fat? Caffeine helps to increase your resting energy expenditure. Celsius contains caffeine, so yes, Celsius does help to increase the rate at which you burn fat. Just like most energy drinks. However, Celsius' own studies confirmed that drinking Celsius in the absence of any exercise DOES NOT BURN FAT. So, although some people on the internet like to talk about how drinking a can of Celsius burns more calories than it contains, their own studies confirmed that caffeine needs to be combined with exercise to get fat-burning benefits. Does celsius energy drink accelerate metabolism? Caffeine increases metabolic rate in proportion to the dose. Celsius contains caffeine, so yes, drinking Celsius does increase your metabolic rate. The same is also true for most other energy drinks too. I was a fan of Thomas DeLauer until I saw this video. I wonder if he bothered to read the university studies before agreeing to make this video for Celsius. 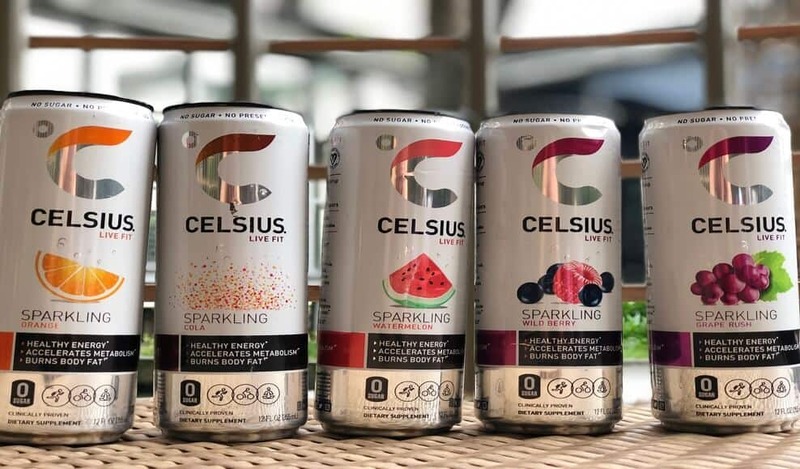 Just taking a look at the places where you can buy Celsius energy drink shows the effectiveness of their marketing, branding and positioning as a healthy product. Health stores (and health store customers) are snapping them up. I assume they also didn't read the university studies for themselves. Including shipping you should expect to pay somewhere around $2 - $2.25 per can to get Celsius shipped to your door. I paid $26.99 for a mixed 12-pack of Celsius energy drink on Amazon. That works out to be $2.25 per drink, which isn't the cheapest option in the wide world of energy drinks, but isn't the most expensive option either. I would say that Celsius Energy Drink is reasonably priced and is about the middle of the road in terms of price when compared to alternative products. However, even at $2.25 per drink it's still more than double the price of REIZE Energy Drink. A can of Celsius drink will run you about $2. There’s a bunch of different ways to score energy drinks in my opinion. So, let’s get to how Celsius does on each of these metrics. Quite a few people online mention that the taste of Celsius is a little bit weak and could be stronger, but in my opinion Celsius does pretty well on taste. Well, the grape rush is fine, but the orange flavor could be a little stronger. I think sparkling orange is quite nice. Perhaps a little bit weak but pleasant. It tasted very similar to Fanta in my opinion. Maybe just a little bit of a watered-down version of Fanta. Due to the artificial ingredients, Celsius does have a slightly artificial aftertaste, but that’s something that I’m willing to tolerate because I would prefer to have an artificial aftertaste then to drink a can full of sugar. I give Celsius a 7.5 out of 10 for taste. I think Celsius have gone a little bit too far on the caffeine quantity. In my opinion, 200 mg of caffeine all at once is excessive and makes it difficult to control your dose which of course can lead to problems like inability to concentrate or worse. Incidentally, caffeine pills also contain 200mg of caffeine. I think the perfect amount of caffeine for an energy drink is somewhere between 50 to 100mg per serving. For that reason, I am not a fan of the amount of caffeine in Celsius and I’m going to give it a score of 4 out of 10 for that reason. A can of Celsius is quite affordable given the size, taste and the overall ingredients. Celsius comes in at a bit over two dollars per can, which I think compared to many competitors is very reasonable, but certainly not the cheapest option in the world. There are definitely better value options out there if you’re willing to look, but it certainly isn’t expensive when compared to competitors like XS drink, Red Bull, Rockstar and others. I give Celsius a 7 out of 10 for price. 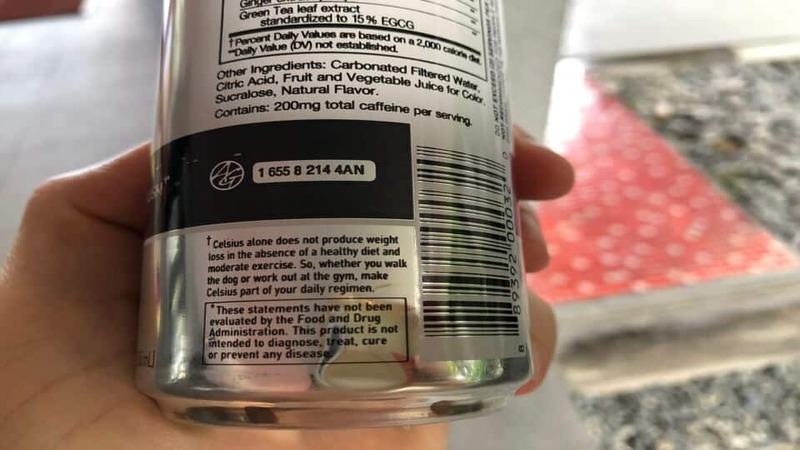 The list of ingredients is something that lets Celsius energy drink down, particularly in light of the way they use the ingredients for the marketing purposes. This is something that I consider to be deceptive. Now, I’m not saying that Celsius is any worse for you than any other energy drink, I don’t believe that, but Celsius do make a big fuss about their MetaPlus proprietary blend, which I don’t believe is anything special. In fact, the way that they splash all of their health claims (all with asterisks mind you) all over the Celsius cans is tacky. Worst of all is the way that they don’t even mention caffeine being included in their MetaPlus blend, despite all of the university studies that they paid for mentioning that caffeine is known to increase metabolism and increase resting energy expenditure. It's as though they want you to believe that Celsius is some kind of wonder drink that is somehow superior to other energy drinks. So, because of the way that they market their ingredients, I’m going to score Celsius a 3 out of 10 on this metric. Does Celsius energy drink work? The first time that I had a full can of Celsius all at once was when I tried sparkling orange at 2pm just after I had eaten lunch. I was a little bit worried about having an entire can of Celsius at 2pm because Celsius contains 200mg of caffeine and I was concerned that perhaps it might affect my ability to sleep that night. I finished the can in about 10 minutes and about half an hour after that I started to feel the effects and I have to say it was a little bit overpowering. Generally speaking, I think I have a pretty good tolerance to caffeine, but even so it was a little bit too much even for me. My thoughts were a little scattered and I found it difficult to focus on the task at hand. It definitely felt like a strong energy boost, but was a little bit too strong to be able to concentrate. Surprisingly, I was ready for a nap about 2 hours later. The surge in energy had disappeared as quickly as it came on. Needless to say, I had no trouble sleeping later that night. Overall, I think there might have been about 10 minutes of what I would consider to be a "good" amount of boost. Then after that, there was about 90 minutes of "excessive" boost, and then it was all gone and I was ready for a siesta. Is Celsius drink good before exercise? This might’ve just been in my head, but I felt like there was a little bit of tightness in my chest for a couple of hours after finishing a can of sparkling orange. 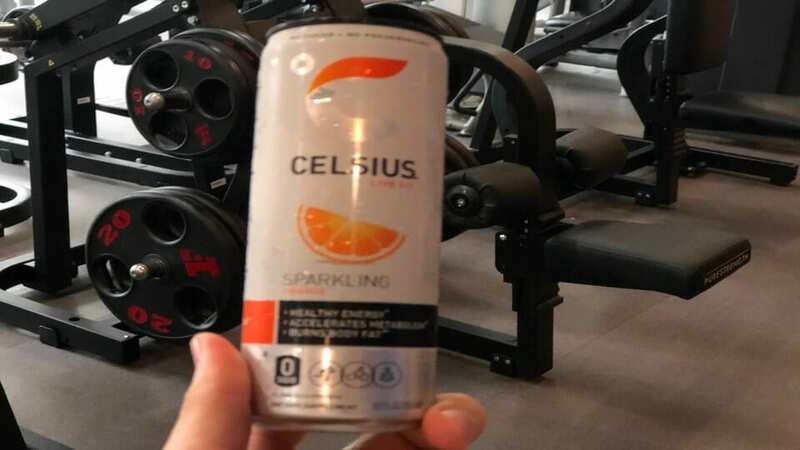 This particularly concerns me with regard to Celsius because I know that they are marketing the drink as something we should take before exercise. Personally, as someone who drinks a lot of caffeine and who also does a lot of exercise, I wouldn't want to drink a can of Celsius before doing any kind or strenuous exercise. It just feels like the risk of something bad happening, however small an increase, combined with what is clearly too much caffeine to be able to think straight just isn’t a good idea for me. I just don’t want to combine that kind of energy boost with any kind of strong physical exercise. I give Celsius a 4.5 out of 10 for its effect. Sure, it will blow your head off, but that's not usually what I'm looking for in an energy drink. 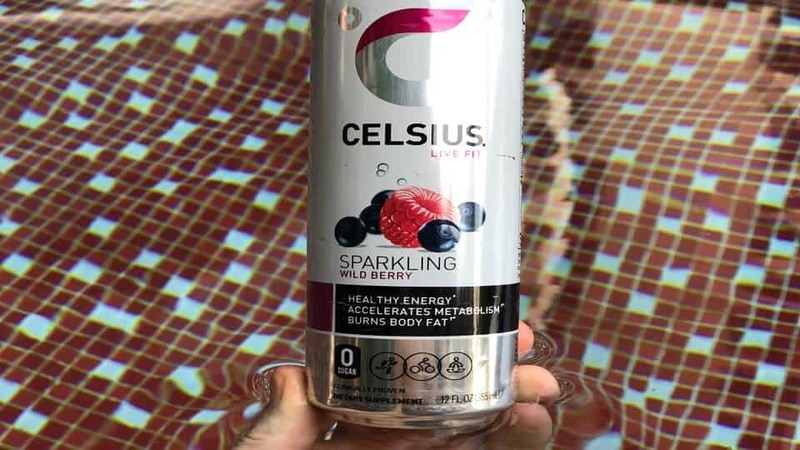 Generally speaking, people seem to have swallowed the marketing message about Celsius energy drink being healthy and helping you to burn fat hook, line and sinker. There are plenty of Youtube reviews online with people blindly referencing the studies as "evidence" of how great Celsius is. ...But there are also a fair amount of unhappy customers too. To be fair, if you filter to show only 5-star reviews on Amazon you'll find a long list of good reviews. I also did an entire article dedicated to reviewing Celsius which you might also find interesting. There's a whole world of great energy drinks out there. While Celsius energy drink come in a wide range of flavors, there is an entire world of amazing energy drinks out there just waiting to be explored. Why limit yourself to just one energy drink, even if they did pay for 6 university studies? If energy drinks aren't your thing, you might like to consider something like Mio water enhancer or Vivarin pills. All of the above products contain caffeine, thus, all of them will boost your metabolic rate and help you to burn more fat if you exercise. When I set out to create this Celsius drinks article I wanted to make it as objective and matter-of-fact as possible. But after reading the research papers for all six of the university studies and then seeing how Celsius and seemingly everyone on the internet have latched on to the idea that Celsius drinks are some kind of miracle fat-burning innovation really bothers me. All things considered, I like the drink and I think it tastes fine. Celsius also boasts a huge range of products and flavors which means that you're very likely to find something that you like. But let's be clear, the reason that Celsius helps to increase metabolism and burn fat is because it contains caffeine. Just as many other energy drinks do. 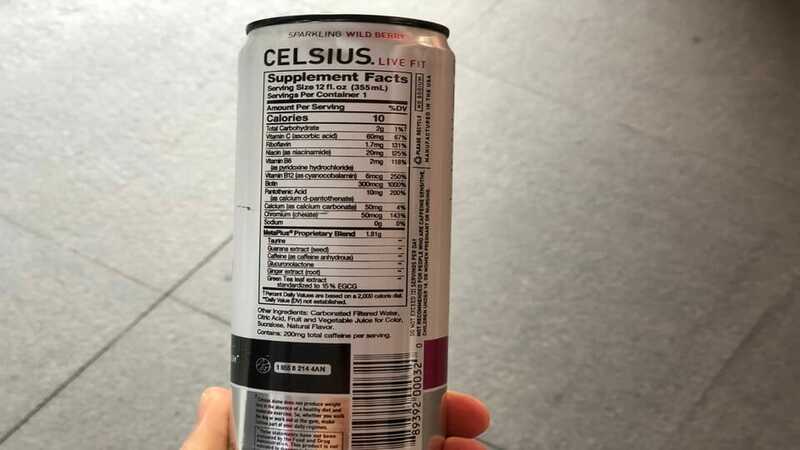 I really dislike the way that Celsius have engineered things to try to appear to be some kind of miracle health drink, because I know that lots of unsuspecting people will blindly buy into it without actually reading the research papers themselves. All of Celsius health claims are based on the proven health benefits of caffeine. Is Celsius just like any other energy drink? Yes, in my opinion Celsius is a regular energy drink. Everyone wants an easy fix, so if a product comes along that promises to help you burn fat just by drinking it, then lots of people will buy a can in the hope of shedding a few pounds. The truth is that Celsius drinks are very similar to most other energy drinks on the market. The main difference between Celsius and other energy drinks is that Celsius contains a lot more caffeine than most energy drinks. Indeed, Celsius is marketing and positioning is somewhere in between energy drink and pre-workout. Overall, I would say that Celsius is a pretty good drink, is reasonably priced and I like the fact that it's sugar-free. Negatives about Celsius drinks in my opinion are the super-high caffeine levels (I prefer a more gentle dose because it's easier to control) and the misleading marketing about how healthy they are. The taste is also a little too subtle for my liking, but certainly not bad. Celsius drink contains ingredients typical of most energy drinks. If you are looking for a great energy drink that is also sugar-free, contains about the same number of calories as Celsius drink, but ships right to your door for less than half the price of Celsius, then you might want to take a look at REIZE Energy Drink. REIZE ships right to your door for about $1 per drink. REIZE is the smarter choice if you're looking for a great alternative to Celsius drinks and you might even find that you prefer it to Celsius drinks.